This blog post is written by Eustáquio Reis, Senior Research Economist at the Institute of Applied Economic Research (Ipea) in Brazil and member of the Advisory Panel of the Open Economics Working Group. 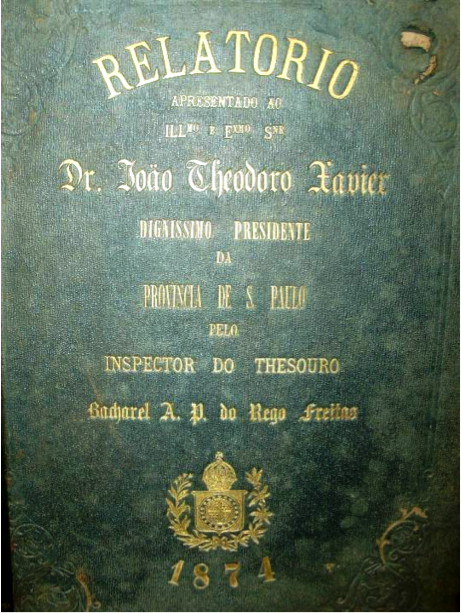 The project Statistical Memory of Brazil aims to digitize and to make freely available and downloadable the rare book collections of the Library of the Minister of Finance in Rio de Janeiro (BMF/RJ). The project focuses on the publications containing social, demographic, economic and financial statistics for the nineteenth and early twentieth century Brazil. At present, approximately 1,500 volumes, 400,000 pages and 200,000 tables have been republished. Apart from democratizing the contents to both the scientific community and the general public, the project intends the physical preservation of the collection. The rarity, age and precarious state of conservation of the books strongly recommend to restrict physical access to them, limiting their handling to specific bibliographical purposes. For the Brazilian citizen, free access to the contents of rare historical collections and statistics provides a form of virtual appropriation of the national memory, and as such a source of knowledge, gratification and cultural identity. 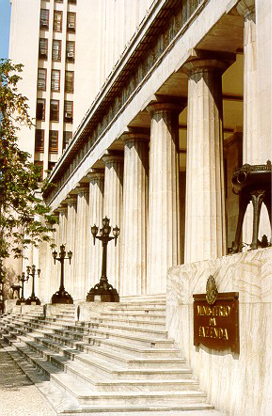 Inaugurated in 1944, the BMF/RJ extends over 1,200 square meters in the Palacio da Fazenda in downtown Rio de Janeiro, the seat of the Minister of Finance up to 1972 when it was moved to Brasilia. The historical book collection dates back to the early 19th century when the Portuguese Colonial Administration was transferred to Brazil. 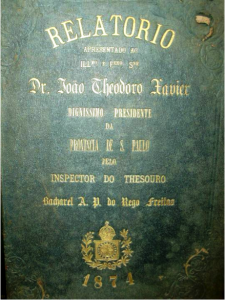 Thereafter, several libraries from other institutions — Brazilian Customs, Brazilian Institute of Coffee, Sugar and Alcohol Institute, among others — were incorporated to the collection which today comprises over 150,000 volumes mainly specialized in economics, law, public administration and finance. For the purposes of the project, the collection of rare books includes a few thousand statistical reports and yearbooks. 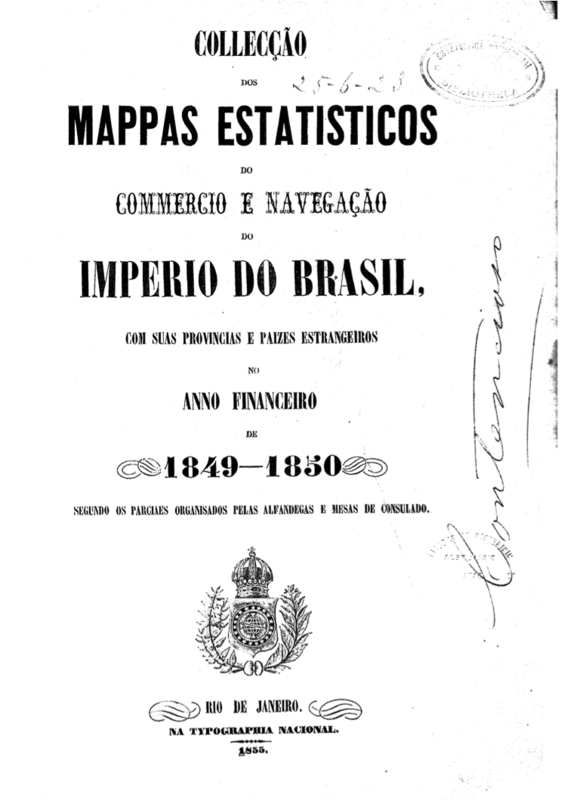 To mention just a few, the annual budgets of the Brazilian Empire, 1821-1889; annual budgets of the Brazilian Republic since 1890; Ministerial and Provincial reports since the 1830s; foreign and domestic trade yearbooks since 1839; railways statistics since the 1860s; stock market reports since the 1890s; economic retrospects and financial newsletters since the 1870s; the Brazilian Demographic and Economic Censuses starting in 1872 as well as the Brazilian Statistical Yearbooks starting in 1908. En passant, it should be noted that despite their rarity, fragility, and scientific value, these collections are hardly considered for republication in printed format. Under the initiative of the Research Network on Spatial Analysis and Models (Nemesis), sponsored by the Foundation for the Support of Research of the State of Rio de Janeiro and the National Council for Scientific and Technological Development, the project is a partnership between the Regional Administration of the Minister of Finance in Rio de Janeiro (MF/GRA-RJ); Institute of Applied Economic Researh (IPEA) and the Internet Archive (IA). In addition to the generous access to its library book collection, The Minister of Finance provides the expert advice on their librarians as well as the office space and facilities required for the operation of the project. The Institute of Applied Economic Research provides advisory in economics, history and informatics. The Internet Archive provides the Scribe® workstations and digitization technology, making the digital publications available in several different formats on the website. The project also makes specific collaborations with other institutions to supplement the collections of the Library of the Minister of Finance. 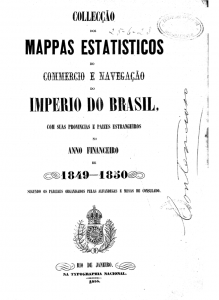 Thus, the Brazilian Statistical Office (IBGE) supplemented the collections of the Brazilian Demographic and Economic Censuses, as well as of the Brazilian Statistical Yearbooks; the National Library (BN) made possible the republication of the Budgets of the Brazilian Empire; the Provincial and Ministerial Reports; the Rio News; and the Willeman Brazilian Review, the latter in collaboration with and the Department of Economics of the Catholic University of Rio de Janeiro. Based upon open source software designed to publish, manage, link and preserve digital contents (Drupal, Fedora and Islandora), a new webpage of the project is under construction including two collaborative / crowdsourcing platforms. The first crowdsourcing platform will create facilities for the indexing, documentation and uploading of images and tabulations of historical documents and databases compiled by other research institutions or individuals willing to make voluntary contributions to the project. The dissemination of the digital content intends to stimulate research innovations, extensions, and synergies based upon the historical documents and databases. For such purpose, an open source solution to be considered is the Harvard University Dataverse Project. The second crowdsourcing platform intends to foster online decentralized collaboration of volunteers to compile or transcribe to editable formats (csv, txt, xls, etc.) the content of selected digital republications of the Brazil’s Statistical Memory project. Whenever possible, optical character recognition (OCR) programs and routines will be used to facilitate the transcription of the image content of the books. The irregular typography of older publications, however, will probably require visual character recognition and manual transcription of contents. Finally, additional routines and programs will be developed to coordinate, monitor and revise the compilations made, so as to avoid mistakes and duplications. Mail batched in a daily digest?